Artnet News, Julia Halperin – 01.11.2017. 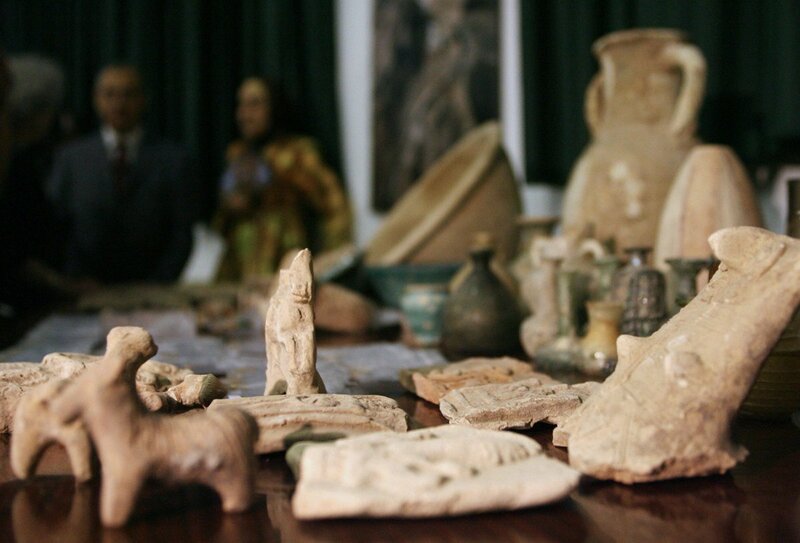 The Vast Majority of Antiquities Sold Online Are Probably Looted or Fake, a New Report Says. Planning to buy an ancient coin on eBay? Perhaps it would be wise to reconsider. Up to 80 percent of the antiquities for sale online are likely looted or fake, according to new research. The Wall Street Journal has conducted a thorough investigation into the surge in illicit antiquities bought and sold online. Neil Brodie, a senior research fellow in Endangered Archaeology at the University of Oxford, estimates that 80 percent of the 100,000 antiquities available online at any given moment have no recorded provenance—which means they are probably looted or fake. These objects have a combined total asking price of more than $10 million, he says. The explosion of fake and looted antiquities is the result of two combustible factors. First, ISIS has conducted unprecedented looting across the Middle East in recent years, bringing a wave of illicit objects into the marketplace. Second, novice collectors now have unprecedented access to un-vetted material thanks to the rapid growth of outlets like Facebook, WhatsApp, eBay, and Amazon. “Social media democratized the art market, but it also democratized who can be victimized by the art market,” Colette Loll, the founder of the firm Art Fraud Insights, tells artnet News. Ironically, dealers of fake or stolen art seem to have adapted to the digital revolution more quickly than many legitimate art galleries. Some possibly illicit works have even popped up on Snapchat, Loll tells artnet News. “It disappears, so you can hide the evidence,” she notes. While the European Commission and US officials have been monitoring the problem, a solution has largely eluded law enforcement, which is overwhelmed by the prospect of pursuing every suspicious listing. (eBay alone sells five collectibles per second, according to Brodie’s paper.) Loll likens the pursuit of stolen objects to a game of Whac-A-Mole: As soon eBay removes a listing, it might pop up on Amazon. For her part, Loll believes a lasting solution is more likely to come from the demand side. “It’s going to be up to auction houses and dealers to come together and educate consumers,” she says. She notes that the popularization of the label “blood diamond” did much to encourage conscientious consumption of precious stones, and believes the same kind of reform is possible in the art industry.